For years, people have reported odd glowing and mysterious flickers of light before an earthquake. Now the phenomenon may finally be explained, in a new study that explores the unusual geology of the earthquakes associated with these sightings. 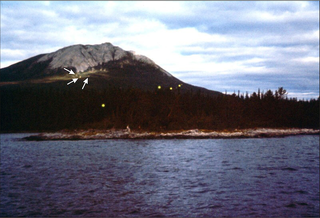 For a long time, scientists dismissed the idea of "earthquake lights" as a legend. Then, in the 60s (not coincidentally, around the time when point-and-shoot cameras began to surge in popularity), photographic evidence of the lights started to pop up. They became accepted, but scientists still couldn't explain them. Of the 65 earthquakes studied, 56 occurred along an active or ancient rift zone. And 63 of the 65 quakes took place where the geological faults that ruptured were almost vertical — as opposed to the shallower angles that many major faults take. This steep geometry could explain how earthquake lights appear, Thériault and his colleagues say. Team member Friedemann Freund, a mineral physicist at the NASA Ames Research Center in Moffett Field, California, suspects it all starts with defects in a rock, where oxygen atoms inside a mineral's chemical structure are missing an electron. When the stress of an earthquake hits the rock, it breaks chemical bonds involved in these defects, creating holes of positive electrical charge. These 'p holes' flow can vertically through the fault to the surface, triggering strong local electric fields that can generate light. Laboratory experiments have shown that electric fields can be generated in certain types of rock by squeezing5. But Freund's idea is just one of many possible mechanisms to explain earthquake lights. "It makes enough sense, but that doesn't mean that it's right," Ebel says. The catalogue opens up other ideas for studying earthquake lights, says Thériault. For instance, seismologists who monitor active faults might look for changes in the soil's electrical conductivity immediately before or during a quake. So the shifting earth could be generating balls of electricity, whose glowing and flickering may be visible from far away.